During translation discussions at the end of 2018, we discovered that there is more depth within the Precision dimension that warrants articulation. 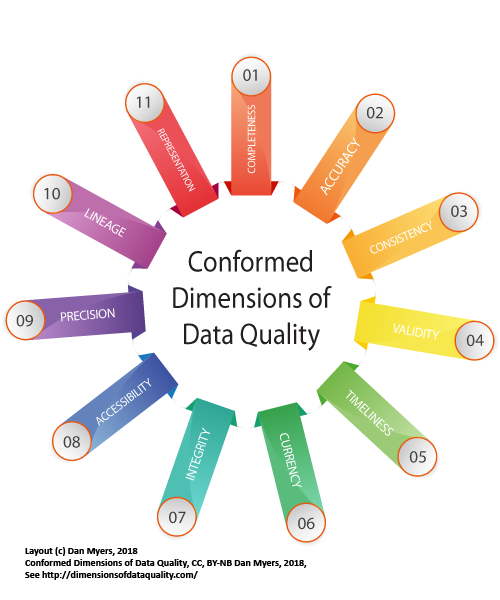 After reference to Redman's 1996 book, Data Quality for the Information Age, we've decided that the precision of a domain should be identified as its own Underlying Concept. This also required a revision to the Dimension-level description. Please see the following documentation for this change. Redman, 1996, page 247, identifies "Domain Precision" as "The domains of possible values should be just large enough to support applications". 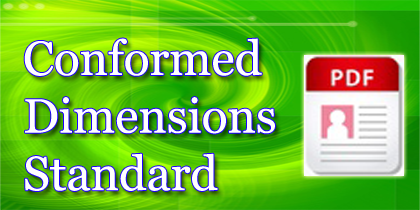 In this release we're adding this Underlying Concept which also helps clarify the definition of the Dimension. Precision Precision measures the number of decimal places and rounding of a data value or level of aggregation. Precision is the measurement or classification detail used in specifying an attribute's domain. Precision Domain Precision Domain Precision is the granularity for which a concept is represented as an attribute. Dimension Level: As described below, we made a small change to the way the Underlying Concept Cardinality is worded in order to de-emphasize the relational database implications, but use more generic language "data set" in order to illustrate that it applies to any two dimensional construct. Underlying Concept Level: Redman, 1996, page 247, identifies "Domain Precision" as "The domains of possible values should be just large enough to support applications". In this release we're adding this Underlying Concept which also helps clarify the definition of the Dimension. An attribute named "Satisfaction Level" and described as either "Satisfied" or "Unsatisfied" has relatively low precision, but if described using the domain, "Highly Satisfied", "Somewhat Satisfied","Undecided","Somewhat Unsatisfied","Highly Dissatisfied," has a higher level of precision. Typically, the word table implies a relational database implementation, but this is intended to be applicable to any two dimensional (records and attributes), we've rephrased it to say "between one data set" rather than "one table". Integrity Cardinality Cardinality describes the relationship between one table to another, such as one-to-one, one-to-many, or many-to-many. Cardinality describes the relationship between one data set and another, such as one-to-one, one-to-many, or many-to-many. Based on research of Blockchain principles, changed wording of one of the components of Access Control from "review and approval" to "review and "authorization". Accessiblity/td> Access Control Access control includes the identification of a person that wants to access data, authentication of their identity, review and approval to access required data, and lastly auditing the access of that data. Access control includes the identification of a person that wants to access data, authentication of their identity, review and authorization to access required data, and lastly auditing the access of that data. Your input is valued and appreciated. Please direct comments to Dan Myers (dan[at]dqmatters[dot]com) or the LinkedIn group for the Conformed Dimensions of Data Quality.